Ice ice baby! I just got back from a fun filled spring break trip to Iceland! It was definitely a trip of a lifetime, one that I will never forget. A trip filled with nature, beautiful landscapes, and adventure! For those that live in NYC, Iceland seems to be a recent popular destination! One of the main reasons being the cheap flights out of Newark by Wow air. You know that as a frugalista, I definitely took advantage of that! 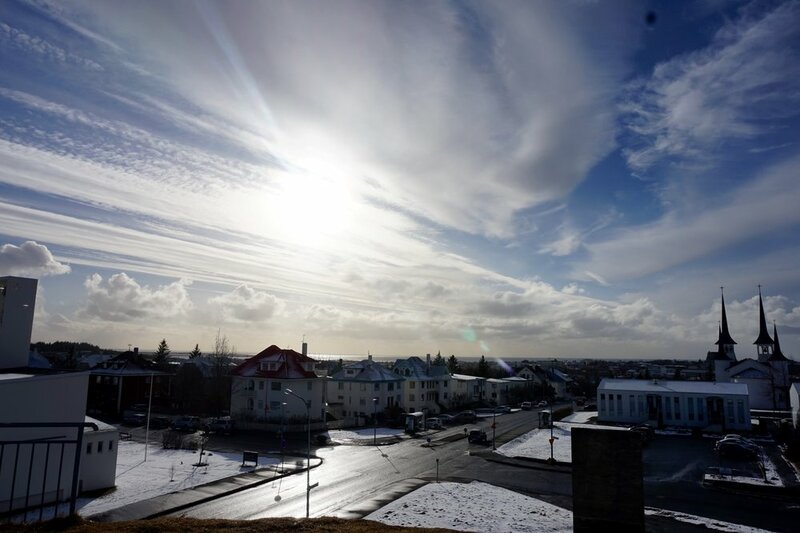 I ended up paying around $400 for a round trip ticket to Reykjavik! Such a steal! Overall, I was pretty satisfied with the service from Wow. It is a low budget airline, so they do try to nickel and dime ya for every little thing. So expect to pay for your carry on and even a beverage on the plane! Woof. They fly out of a handful of cities across the US. So if you're close to a hub, the deep discount is worth it! 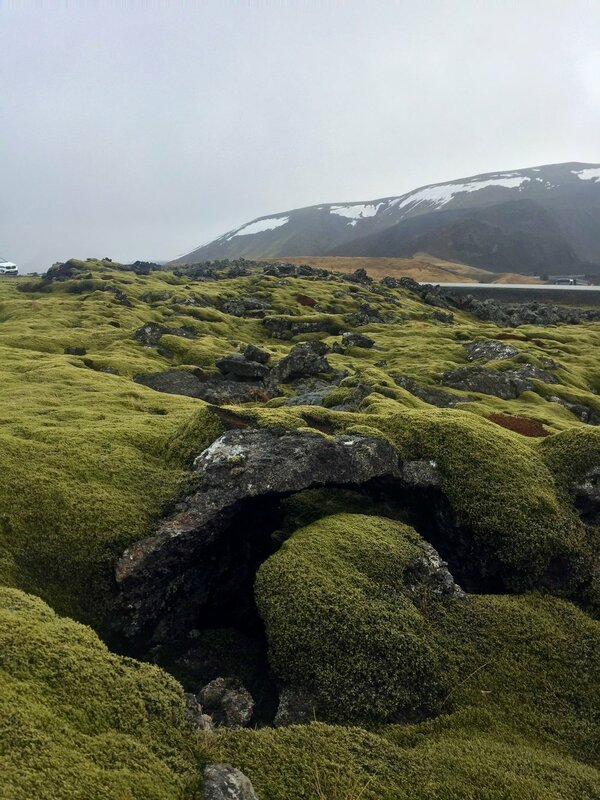 For those itching for a trip to Iceland or are adventurous and curious about the destination, I want to make a list of some must dos while on your vacay! 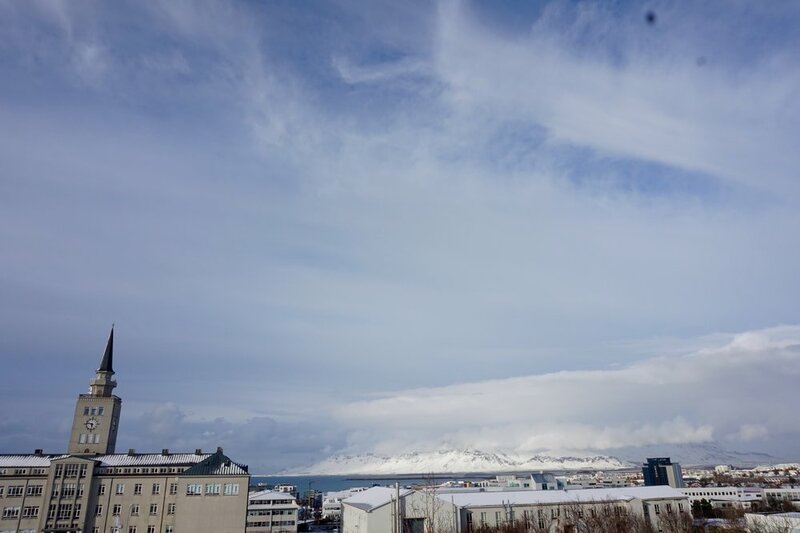 We were in Reykjavik for 5 days, so these tips are great for those on a short stay, but if you're going for a longer period of time, I would definitely encourage you to venture out and explore what other parts of Iceland offer! We had heard from a handful of people that exploring southern Iceland was a must, so we booked that as our main excursion and I'm so glad we did! It was simply beautiful! Southern Iceland is full of beautiful landscapes. 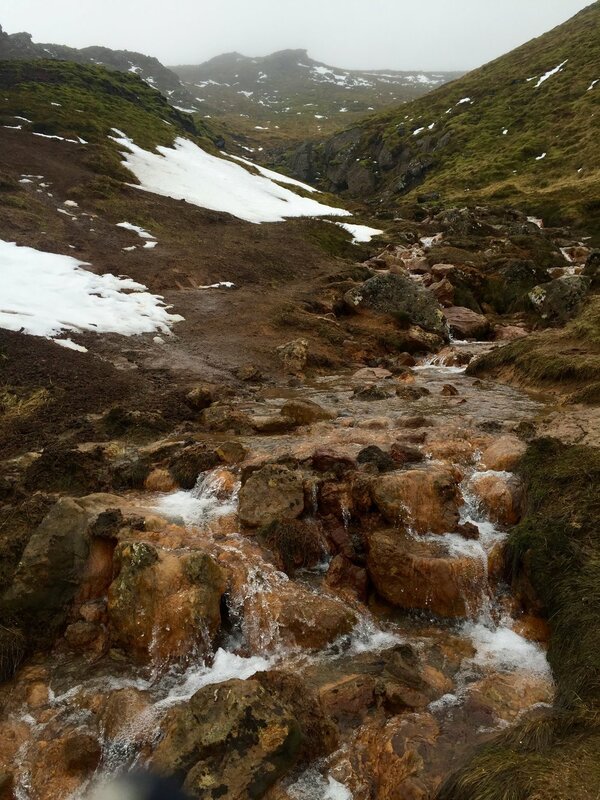 Everything from waterfalls to glaciers! On our trip we visited two waterfalls, a black sand beach and hiked a glacier. The Was a beauty! The hike to the top of the stairs is definitely worth the pain. Haha. On our way up it was snowing sideways and by the time we came down it was sunny and we were greeted by a double rainbow! So picturesque! Of the two waterfalls, Seljalandsfoss was my favorite. You could walk behind it and climb around the inside of the cavern. Pretty neat! The black sand beaches at Reynisfjara were cool as well. Formed from volcanic ash from years ago leaving the coastline with beautiful black sand. Seeing the rocky cliffs of southern Iceland was breath taking! Southern Iceland also is home to a couple of glaciers as well. Part of our tour included a glacier hike on Solheimajokull and I wasn't sure what to expect. But it turned out to be my favorite part of the trip! Upon arriving, we were given a harness, crampons (which are added spikes that are adhered to your shoes), and an ice pick. An ice pick! I know I was in for a treat as soon as I saw it! The guides led us up the glacier, while also explaining the science behind formation. The views were amazing! It was such a fun hike and not too strenuous. I was worried we'd be embarking on a Mt Everest trek when I saw the harnesses! I learned that this glacier specifically melts 1 square meter a day! Which doesn't sound like a lot, but in about 100 years it will be entirely melted! Climate change is real y'all! The blue lagoon is near the Reykjavík-Keflavík Airport. So we planned our visit on the tail end of our trip on our way to the airport, which I highly recommend if you're looking to go. It's kind of out of the way, so it makes it much more convenient. I had heard the Blue Lagoon had mixed reviews because it is on the tourist my side, but I loved it! The facilities are immaculate and beautiful! You feel like you're in a high class spa! Although the lagoon itself is man made, it's stunning! Blue steamy water, surrounded by mossy lava rock and beautiful views. The geothermal pool was way bigger than I imagined! It was filled with many nooks and crannies to explore! One of my favorite parts was the complimentary silica mud mask. Within the lagoon, there's a swim up bar where guests can scoop a handful of the mud mask. After letting it set, your face is left feeling smooth and rejuvenated. The mud is gathered right from the pool! 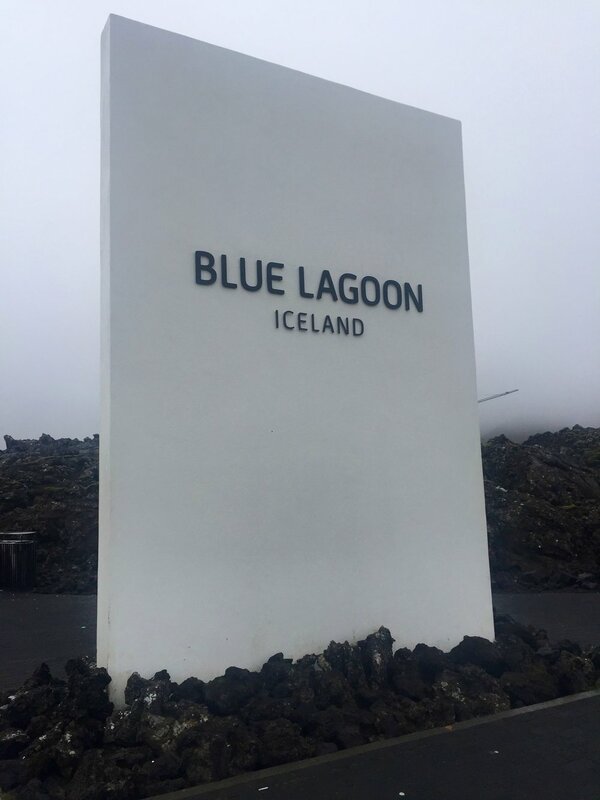 Visiting the blue lagoon was a great way to end our trip. We were able to head off to the airport feeling relaxed and refreshed. Who doesn't have seeing the northern lights on their bucket list? It was certainly on mine! I was so excited about the possibility of catching a glimpse of this amazing natural phenomenon while on my trip in Iceland. There are several tour companies that offer a variety of excursions to see the northern lights, there's even one that will take you out on a boat to search for the lights! On our tour we were lucky enough to catch a glimpse! We drove pretty far out of the way to an isolated field to start gazing. After searching for awhile, we finally gave up and turned back to our tour bus. As we were pulling out of the field on our way back, our guide spotted the lights! We quickly shuffled off and got a glimpse of the dancing lights! I even got an added bonus of seeing a shooting star! Most tours allow you to rebook if you don't see them on your excursion, so I suggest going on your first night to heighten your possibilities. Well worth the money! Another great decision we made was to opt out of a guided tour of the Golden Circle and to just do it ourselves! All day tours can get kind of pricey, so the do it yourself version is a great frugal option. All of the destinations in the circle were free, except for Crater Lake, which charged a small fee of 4 Kronas or less than $3. On our loop we made sure to stop at Gullfoss Waterfall, Þingvellir National Park, Strokkur Geyser, and Kerið Crater Lake. Even though it was a pretty rainy day, we didn't let this stop us! It was such a beautiful day of exploring the many landforms of Iceland! Our first stop was at Þingvellir National Park. The ridge that separates the two tectonic plates. Beautiful views and pretty neat to be able to say you were standing between two continents. We then stumbled upon an excluded waterfall on the ridge called Öxarárfoss. This was a hidden gem! It was literally hidden behind a little mountain ridge. The water was so blue I just wanted to take a sip! I loved this one because there were very few people, which made for some great photo ops. Next was the Strokkur Geyser. I had never seen a geyser before, so I was pretty excited about this stop. The geyser goes off ever 5-7 minutes, which made it pretty easy to catch a glimpse. We shook around for a couple of beautiful shows. Next we hit Gullfoss waterfalls. This was probably my favorite fall that we saw. It was so grand! Much more beautiful than Niagara Falls. It had so many layers of falls and seemed so natural! I would have loved to stick around here a bit longer, but the pesky rain shooed us off quickly. 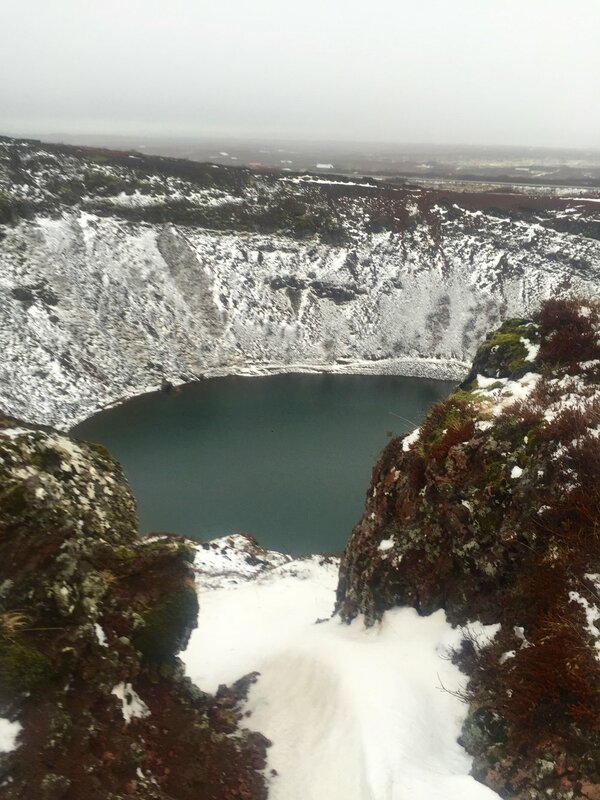 The last stop was to crater lake or Kerið Crater Lake. This was quite a sight! I had never seen anything like it. It was actually formed by a volcano years ago, not a crater. Haha. We hiked around the crater and then ventured down to the lake. It was truly remarkable and a breath taking sight! Looking into the crater from the rim was such a view! Renting our own car ending up being a great decision. It allowed us to have flexibility and discover sights on our own accord. We had two days of exploring with the car and we were able to cover a lot of ground. I loved being able to pull over at anytime and spend as much or as little time at each destination as we pleased. In the end it saved us a lot of money, which you know I'm always a fan of! Haha! One of the days we just made our own path and explored on our own and discovered some of the most beautiful sights on the trip! Overall, visiting Iceland was a trip of a lifetime! If you're up for an adventure, I'd encourage you to add it to your bucket list. A country full of gorgeous nature to be explored!